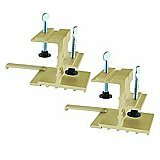 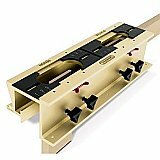 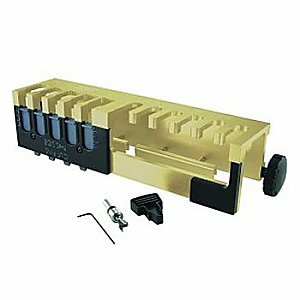 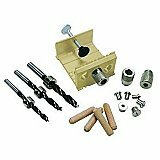 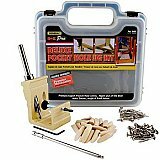 EZ Pro Dovetail Jig Kit is perfect for furniture building, cabinet making and other carpentry projects.  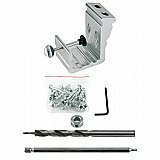 General Tools Model 861 EZ Pro Dovetail II Jig Kit is the all-in-one answer to producing strong, precise dovetail joints right out-of-the-box quickly and easily. New & Improved Model increases accuracy and comfort; rivals far more expensive jigs. 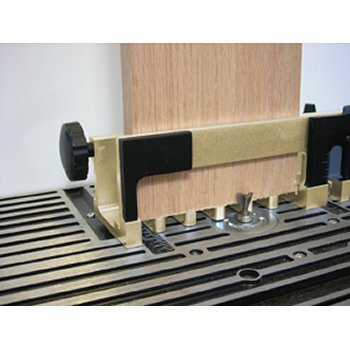 Using only the jig and a handheld or table router, professionals and DIYers can make half-blind or through dovetail joints as well as box joints. 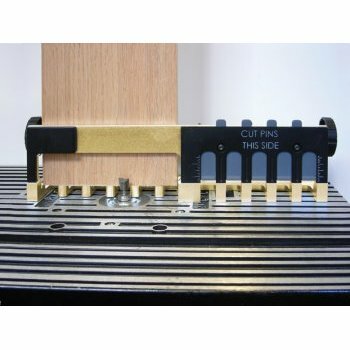 The self-aligning design ensures that both ends of the dovetail joint match up evenly every time, and new table router control knobs promise comfortable and accurate use. 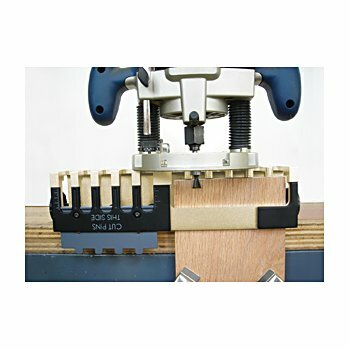 The Dovetailer II is fully portable and includes a 1/2" dovetail router bit and features sturdy machined aluminum construction along with integrated clamps for precise attachment to the work piece.